While all cutthroat trout can turn a beautiful bright red during the spawn, the Colorado River Cutthroat seems to show off its colors year round, making it a favorite with artists and photographers. This native subspecies is also at home in some of the most beautiful places Utah has to offer. 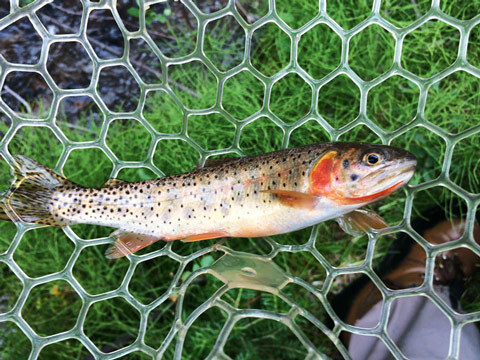 Colorado River cutties are found in the high elevations of the Uintas and in many lakes and a few streams on Boulder Mountain as well. There’s nothing quite like catching one of these gold and crimson beauties miles and miles away from civilization way up in the high country. Little East Fork of the Blacks Fork. While this reach is remote, a trail does parallel the stream. Gilbert Creek. This stream was chemically restored to native CRCT in the early 2000s. Angling conditions can be tough as Gilbert Creek is a small, brushy stream. Henrys Fork. While this reach is remote, a trail does parallel the stream. Main stem Whiterocks River from Chepeta Lake outlet to lower Whiterocks Canyon. Reader Creek: CRCT densities are highest upstream of Chepeta Road Crossing. Uinta River lower canyon upstream to headwater tributaries. While this reach is remote, a trail does parallel the stream. Hells Canyon Creek. Angling conditions can be tough as Hells Canyon Creek is a small, brushy stream. Rock Creek upstream of Upper Stillwater Reservoir. While this reach is remote, a trail does parallel the stream. Fall Creek. While this reach is remote, a trail does parallel the stream. Southern Utah Lakes: CRCT are stocked annually in several Boulder Mountain lakes, including Dougherty Basin Lake, Round Willow Bottom Reservoir, Long Willow Bottom Reservoir, Pine Creek Reservoir, Solitaire Lake, Crescent Lake, and Short Lake. Several other lakes on Boulder Mountain and Thousand Lake Mountain have had non-native cutthroat trout stocked historically. For a full list of lakes stocked with CRCT, refer to the Boulder Mountain Sport Fish Management Plan, Boulder Mountain fishing brochure, or call the Southern Region Office at 435-865-6100. 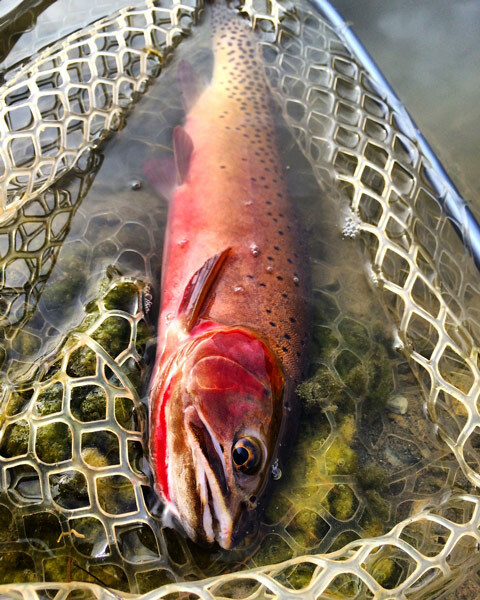 The Utah Cutthroat Slam is a challenge and an adventure. Visit incredible waters to see what trout fishing in Utah was like way back then. 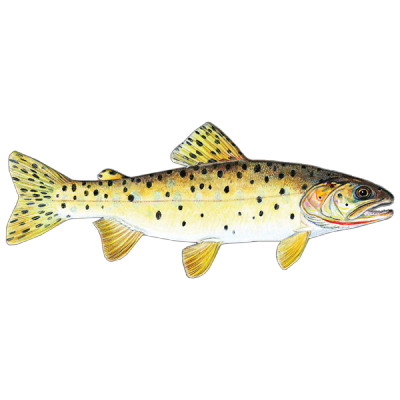 Help Trout Unlimited and the Utah Division of Wildlife Resources restore and protect Utah’s incredible trout legacy and have fun along the way.